Here is it everyone! This decal is made from gloss black wet application Oracal 651 and includes everything you need to do the installation! Install is fairly simple, but got left with bubbles behind the vinyl. Can't see it from a few feet away or at night , but get up close and does not look very nice. Just installed it and did prick the bubbles and pushed some fluid out. We'll see what it looks like after being in the sun for a few days. If it does not go away, the decal will have to and I'll find something else. This an amazing visual mod for the hellcat. 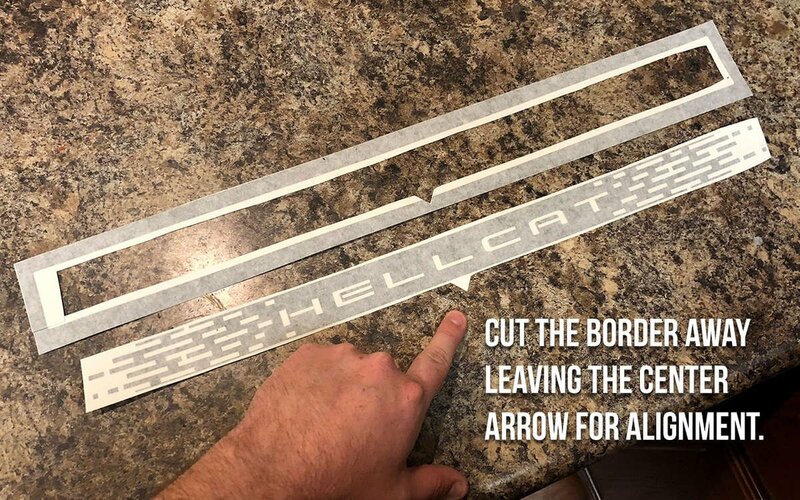 The installation is fairly straightforward and everything you need is included (you may need a masking tape for alignment, but that's not necessary).